A few weeks ago we looked at denim dresses. 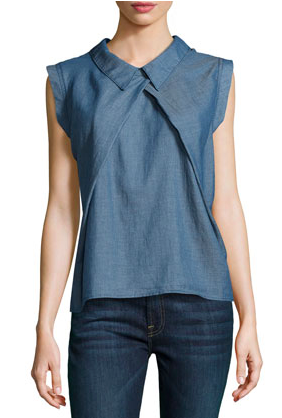 Today I thought we would continue the trend and look at a style that is weirdly adorable: the denim top. 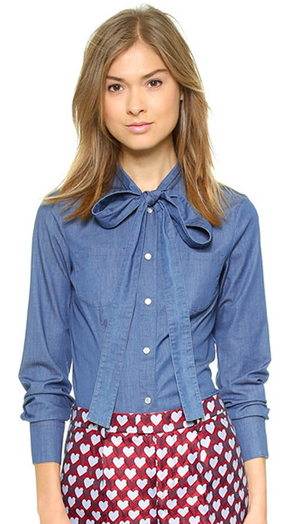 Not your standard chambray, I get that. It's soft and versatile. 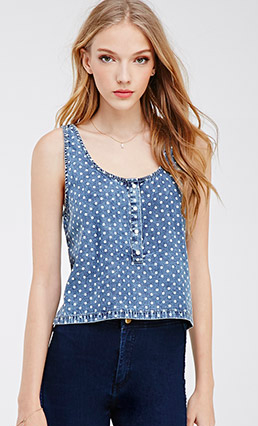 This is a true denim top. It's different and funky. Let's take a look. Gotta love the price and this breezy top is so laid back for the weekend. This will be a closet staple. 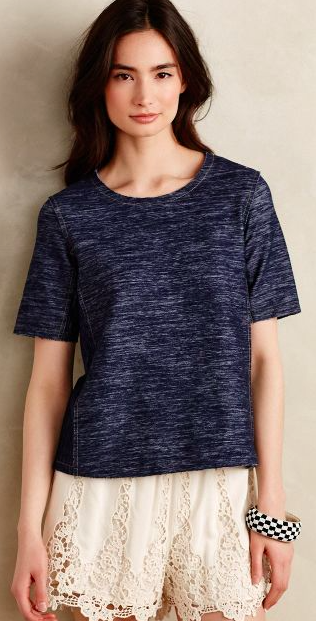 The touch of texture just adds to the simple construction of this tee. How unique is this top? I love the spread collar and simple sleeveless style. I may have saved my favorite for last. I love the long bow tails! Who knew denim was this versatile? I mean I where my jeans multiple times a week but dresses and tops? You go denim.